Mauro Zennaro, a graduate in architecture, studied paleography with Armando Petrucci and calligraphy with Jean Larcher, Thomas Ingmire, Donald Jackson and others. 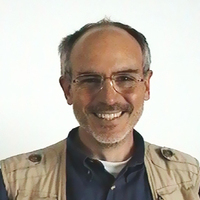 He has done projects for Italian public institutions, including visual identity for Biblioteca Nazionale Centrale di Roma (National Central Library of Rome), visual identity and Angelica typeface for Biblioteca Angelica, the Farfa typeface for the city of Fara in Sabina, and the Equa typeface for the Città dell’altra economia (Town of Alternative Economy) for the city of Rome. He teaches graphic design at the Università per Stranieri (University for Foreigners) of Perugia and at the Carlo Urbany Professional High School in Rome. Zennaro is a prolific author of articles and books and a fellow of AIAP–Associazione italiana progettazione per la comunicazione visiva (Italian Visual Design Association).